Toxic Chemicals and Radiation in Fracking Wastewater (Brine) Causes Major Health Problems! Sacrificing Health for Natural Gas? Fracking wastewater is a mixture of hundred of chemicals, including endocrine disruptors and dangerous toxic chemicals. It has also shown to contain extremely high levels of TENORM radioactive substances such as radium 226 and radium 228, which is brought up from thousands of feet below the earth's surface with the natural gas during the hydraulic fracking process. According to the federal EPA, the radioactivity (radium brought up with the natural gas from deep within the earth) in oil and gas wastewater has been found to exceeds the federal EPA's safe drinking water limits by up to 3,600 times, and exceed the federal industrial discharge limits set by the Nuclear Regulatory Agency by more than 300 times! WV DEP claims that the high radiation level in fracking waste is a "non issue". 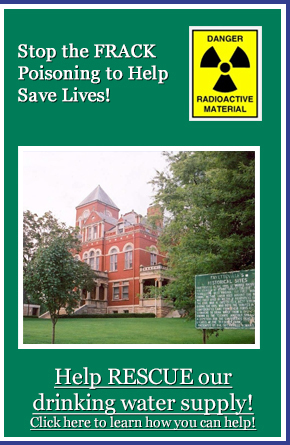 The state and federal maximum safety limit for TENORM radiation is 60 picoCuries per liter. The Radium 226 level in the fracking waste being injected in Lochgelly WV is over 3,000 picoCuries per liter. Exposure to toxic and radioactive fracking waste through air or water pollution causes: cancer, thyroid disease, fibrosis, lung disease, liver and kidney disease, blood disease, auto immune disease, nervous system damage, etc. Pennsylvania test fracking waste for radiation and rejects it if the levels are above the legal limit. West Virginia does not test fracking waste for radiation, but accepts it from PA. Several doctors have expressed strong concern to the WV DEP Oil and Gas regarding the potential health hazards related to the sediment ponds and injection wells in Lochgelly, WV. PA Public Health Assessment Finds Fracking Makes People Sick. Click here to read. Click here to view the List of Chemicals used in Fracking and their health effects. cancer researcher regarding the Lochgelly dump site. According to the National Cancer Institute, Fayette County now has the highest rate of Leukemia in West Virginia! According to the West Virginia Cancer Registry 2011 Annual Report, Fayette county has seen a significant increase in the cancer rate in recent years. 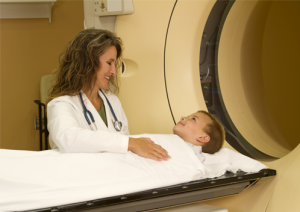 Fayette county now has the highest rate per capita of head, neck, lung and colon cancer in WV. There are no smoke stacks and no fracking going on in the area, but plenty of toxic and potentially radioactive frack wastewater being hauled in from other areas and dumped in sediment ponds in Lochgelly, WV. These dangerous chemicals are only a few miles from several public schools, residential neighborhoods, churches, ball fiends, playgrounds... Several states, cities and counties have either a moratorium or a ban for fracking for many reason, including the simple fact, that for as long as there are cold hearted self serving people in this world who don't care about rules and regulations, fracking poses a very serious threat to human health. Some of the dangerous chemicals in fracking wastewater/produced water are typically thousands of times higher than the federal EPA safety limit which is why the fracking waste poses a real threat to human health. A report released by the Natural Resources Defense Council (NRDC) shows that contaminated fracking wastewater is threatening people's health and the environment. The report also shows that none of the methods currently used to treat or dispose of frack wastewater are safe enough. The process used to extract natural gas from underground shale formations, called hydraulic fracturing or "fracking," creates hazardous wastewater byproducts. These byproducts include the fracking fluid that returns to the surface of the natural gas well, along with water that's released from inside the shale formation. A study by the U.S. Forest Service concluded that fracking wastewater is deadly when dumped on forestlands. Click here to read more. The Center for Environmental Health (CEH) released a new report outlining the health risks to pregnant women and young children from harmful chemicals used in fracking. The report, Toxic and Dirty Secrets: The Truth About Fracking and Your Family’s Health, shows how chemicals related to the oil and gas industry when conducting fracking operations can pollute the air and water in communities around fracking sites and pose health risks especially to pregnant women and children, who are most vulnerable to chemical exposures. Toxic and Dirty Secrets: The Truth About Fracking and Your Family’s Health. Click here to read article, Cancer specialists warn Governor Guomo of Fracking risks. While West Virginia Governor Tomblin whole heartedly accepts fracking as the answer to energy independence, others warn that fracking it is not worth the health risks. New York Governor Quomo has had a moratorium on fracking and does not plan to lift it until scientific evidence is provided to show that it is safe and does not pose a health threat to the public.